Viridipharm’s tincture combines our full-spectrum cannabidiol-rich oil with incredible-tasting orange, peppermint, cotton candy, and chocolate flavors. Our tinctures are very popular and have a very long shelf life. These sublingual oils are easy to bring CBD with you wherever you go. 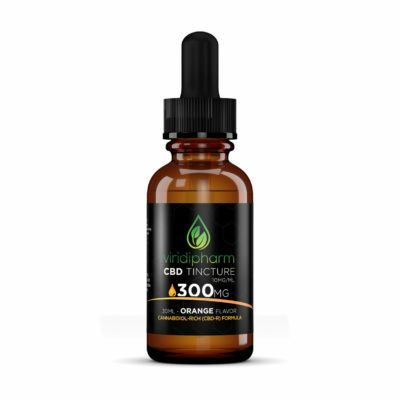 Viridipharm cannabidiol-rich (CBD-R) Tinctures contain cannabidiol as well as a complete panel of phytocannabinoids providing a full entourage effect. CBD-R Tinctures are made using natural oils which provide necessary nutritional support as well as many other benefits. 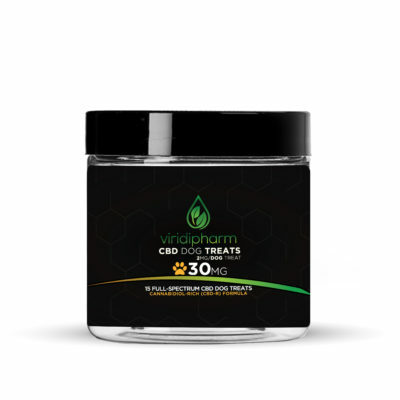 Viridipharm’s CBD-rich oil provides a unique base allowing us to fully harness the anti-inflammatory and pain-relieving power of curcumin. 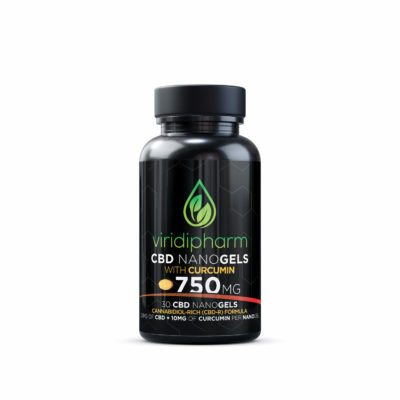 Continue supplementing your endocannabinoid System (ECS) with Viridipharm Nanogels. Our cannabidiol rich (CBD-R) Nanogels are created with our absorption enhancing water-soluble liquid. Each Nanogel contains 25mg of cannabidiol (CBD) along with a complete panel of phytocannabinoids including CBG, CBN, CBC, and over 40 natural terpenes. Curcumin allows 3-4 times more CBD bioavailability. Viridipharm’s salve is naturally formulated using beeswax and CBD-rich oil to deliver the calming and soothing benefits of lavender and eucalyptus. 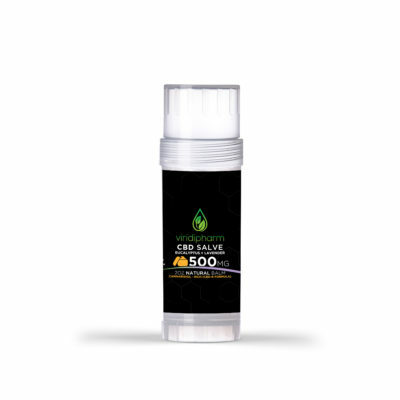 CBD-R salve acts locally at the site of application for quick relief and can be applied throughout the day as needed. Ingredients: Cannabidiol-rich (CBD-R) hemp oil, beeswax, organic coconut oil (MCT), lavender essential oil and eucalyptus essential oil. Viridipharm’s formulated Canine soft chews provide a full spectrum profile of synergistic compounds that are naturally present in our zero-THC phytocannabinoid-rich organically grown hemp oil. Each soft chew is beef flavored and easy to digest. They can be used as a supplement. Specially formulated to help canines with any pain, inflammation, stress, anxiety, age-related issues, and overall health & wellness. Our salves are made of plant proprietary blend of pure phytocannabinoids along with other natural hemp plant sterols, botanicals, and terpenes. Ingredients: Water, dried brewer’s yeast, glycerin, gum arabic, sodium alginate, beef liver powder, natural bacon flavor, flaxseed oil, microcrystalline cellulose, organic sweet potato powder, sunflower lecithin (non-GMO), citrus pectin, vitamin E, sodium propionate, calcium sulfate dehydrate, natural mixed tocopherols (natural preservative), dextrin, cannabidiol-rich (CBD-R) hemp oil.